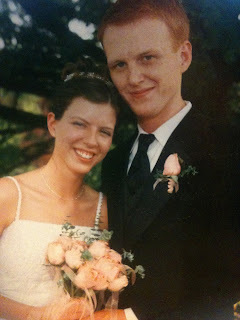 I had a much different blog started about a week ago for my ten year wedding anniversary to my husband, John Mark. Our actual anniversary date is May 10, but because of a series of events, I have been prevented to write about it until now. When I met John Mark I am pretty sure it was love at first sight. We met in Mr. Puhse's biology class the first day of college at Missouri Baptist University. I thought he was the most gorgeous guy I had ever met...and he is still pretty hot, if I don't say so myself. We had a long, year and a half engagement, tying the knot May 10, 2003, two weeks after we graduated college. We went on our honeymoon and less than two weeks later moved to Louisville, KY, where we now reside. Together We Can Make Ambercrombie and Fitch the World's Number One Brand of Homeless Apparel. When a friend posted this video on their FB page the only response I made was, "I think the homeless are too good to wear Ambercrombie and Fitch." I was holding back what I really wanted to say (which is what blogs are good for). 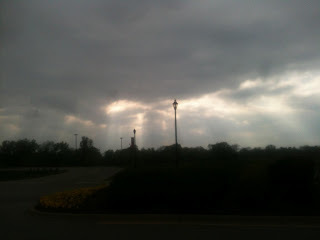 It slipped my mind until I saw this wonderfully worded blog on the subject by a young mom, named Kristen. The Girl (With a Chronic Medical Condition) Who Went Up a Hill and Came Down a Traithlete. I finally did it. Something that I desperately wanted to do last year, but was too scared to do. Was lacking the self confidence to do. And basically too chicken to do. I signed up for a triathlon. The emotions leading up to that fateful task of entering your credit card number and hitting submit were a bit of a roller coaster. It seemed like for every reason I came up with that I could do it, my mind would dredge up a reason why I couldn't. The main one being that big fat "I" that was stamped on my head...okay, well actually bladder, but you get what I am saying.